All Details Handled: Purchasing the Boat of your dreams can be a process with many steps, and a quality Boat loan specialist will make the process easier on you by assisting you throughout. “Sea trials, the survey process, Coast Guard documentation—your rep should facilitate each one of these procedures and organize the closing,” said Smith. Faster Credit Decisions: When you work with a Boat loan specialist, you can expect a much faster response when applying for a loan. “We represent multiple lenders who understand Boats and their Buyers. We can get approval on a Boat loan application within 24 to 48 hours,” said Smith. Longer Financing Terms: Boat loan specialists recognize the value of a well-maintained Boat, so terms generally will be more attractive than those offered by local banks and credit unions. “We have a track record with lenders, so they are often willing to provide marine loans for 15- to 20-year terms,” said Smith. Lower Down Payments: The down payment on your boat loan is based on the age, type, and price of the Boat you are buying, as well as your own credit profile. In today’s market, marine lenders offer financing with down payments typically in the 10%-20% range, but a Boat loan specialist can often assist you with programs available through various manufacturers that could allow you to qualify for less. Lower Monthly Payments: Because marine lenders extend longer terms on Boat loans than local banks and credit unions, your monthly payments are likely to be much lower than you expected. “We know what kind of loans each of these lenders is looking for and can match each individual client’s needs with the lenders most likely to give the lowest rate and most attractive terms,” explained Smith. More Electronics and Extras: Want to outfit your Boat with optional extras, fish finders, radar, and other extras? A marine lending specialist will allow you to finance all the “necessary” add-ons and even an extended service plan with your purchase. “The bottom line is that by financing your boat purchase, you can usually afford a newer, larger, more powerful Boat, a better trailer, and all the gear it takes to make owning a fishing boat a more enjoyable experience,” said Smith. 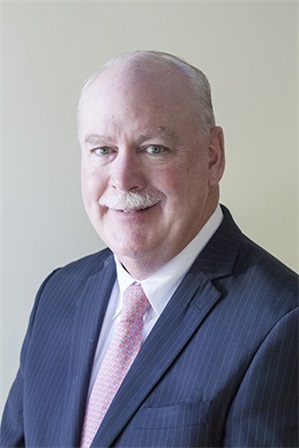 Tom Smith is President of Sterling Associates, a financial services firm headquartered in Massachusetts that provides financing, insurance and documentation services for many types of boats.